Late on a Friday afternoon, the Oncofertility Consortium national helpline (Fertline) received a call from a pediatric oncologist with an urgent request. His patient was a girl of high-school age who had just learned that the treatment for her cancer, which needed to start on Monday morning, would likely cause infertility or sterility. She told her doctor that she did not want to go ahead with the life-preserving treatment unless her fertility could be spared. How to address the issues that cancer treatment brings to female infertility? The number of young cancer survivors is increasing owing to advances in cancer therapeutics, but many face infertility as a result of their treatment. Technologies that already exist for cancer patients concerned about their future fertility include embryo and ovarian tissue cryopreservation. Under the NIH roadmap grant mechanism, the fields of oncology, pediatrics, reproductive science and medicine, biomechanics, materials science, mathematics, social science, bioethics, religion, policy research, law, and cognitive and learning science have been brought together into a single discipline—oncofertility. Researchers and clinicians are accepting this new specialty as a mechanism that can address a number of questions, including: how to optimally store and recover gonadal tissue; how to promote primate　derived immature follicle growth and oocyte maturation in a three-dimensional environment; predicting how new cancer drugs will affect fertility; describing the ethical and legal concerns surrounding the use of advanced reproductive technologies in cancer patients. Embryo banking is the first option for fertility management. However, embryo banking raises a variety of concerns that must be factored into the decision-making process. First, the procedure requires 2–5 weeks to complete and may delay cancer treatment. Second, the procedure is not applicable for pre-parental girls and unmarried woman. Ovarian tissue banking is an option for patients whose cancer is aggressive and for whom a　delay in treatment for hormonal stimulation is not possible, patients whose cancer is　hormone-responsive, patients who do not wish to undergo hormonal intervention, and　adolescents or Pre-pubertal girls.4 Ovarian tissue is retrieved in an outpatient laparoscopy　procedure. Strips of tissue from the outer cortex of the ovary, which contains mostly small,　immature follicles, are isolated, frozen, and stored for future use. Two freezing methods one reported, slow freezing and vitrification. So far almost all of successful cases were with slow freezing. Many scientists have been investigating to find the optimal freezing method. The advantage of ovarian tissue transplant technology is the restoration of both endocrine and fertility function. In women with premature ovarian failure, undergoing ovarian tissue transplantation has led to spontaneous pregnancies without assisted reproductive technologies. The disadvantage of transplantation is that the ovarian tissue is leukocyte-rich and, in some types of cancer, there is a risk of reintroducing aggressive cancer cells. Ovarian tissue transplants also have a finite lifespan, which correlates to the amount of ovarian tissue inserted.5 Farther additional work is needed, to improve transplant success rates, use methods that minimize the risk of cancer recurrence owing to the transplanted tissue, and maximize the likelihood of having a biological child. An alternative to tissue transplantation is in vitro maturation of ovarian follicles. Follicle growth and maturation is a complex process that requires communication between the oocyte and its surrounding somatic cells. Females are born with a finite number of primordial ovarian follicles (approximately 1 million follicles are present in the ovaries at birth) that contain a small, dormant oocyte and some somatic cells. This immature follicle pool represents the source of a female’s reproductive potential. These follicles remain in a dormant stage until a female reaches sexual maturity, at which point a number of follicles are selected with each menstrual cycle to begin the developmental process that leads to hormone sensitivity and production, and the ultimate release of a single, mature egg during ovulation. The scientific hurdle is to grow immature follicles and support the development of an egg in vitro that may be fertilized. Studies of human follicles from an ovary removed laparoscopically before cancer treatment and grown in the alginate culture system, are underway to evaluate the efficacy of this technique for female cancer survivors. Currently, it is possible to grow healthy human follicles for 30 days in vitro.6 The terminal meiotic maturation of the oocyte, fertilization, and transfer to a human recipient await development. 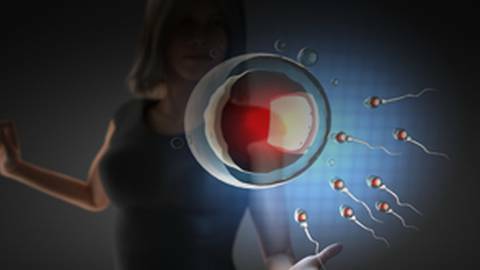 Despite the rapid growth of the Oncofertility Consortium, further work is needed to improve this initiative. Advances in this field can be achieved through a greater understanding of issues such as follicle development, learning about the fertility risks of new cancer patients, and exploring the best ways to discuss fertility options at a time of extraordinary stress. Oncofertility faces many challengess that must be addressed but it is very promising and offers hope after the loss of gonadal function to bring back a happy life to many young people. Woodruff TK, The Oncofertility Consortium—addressing fertility in young people with cancer. Nat Rev Clin Oncol. 2010; 7(8): 466–475. Dr. Tanaka talks about infertility treatments for patients after their successful battle with cancer. Dr. Tanaka, Director at St. Mother Hospital in Japan, addresses common questions asked about fertility after cancer treatments.